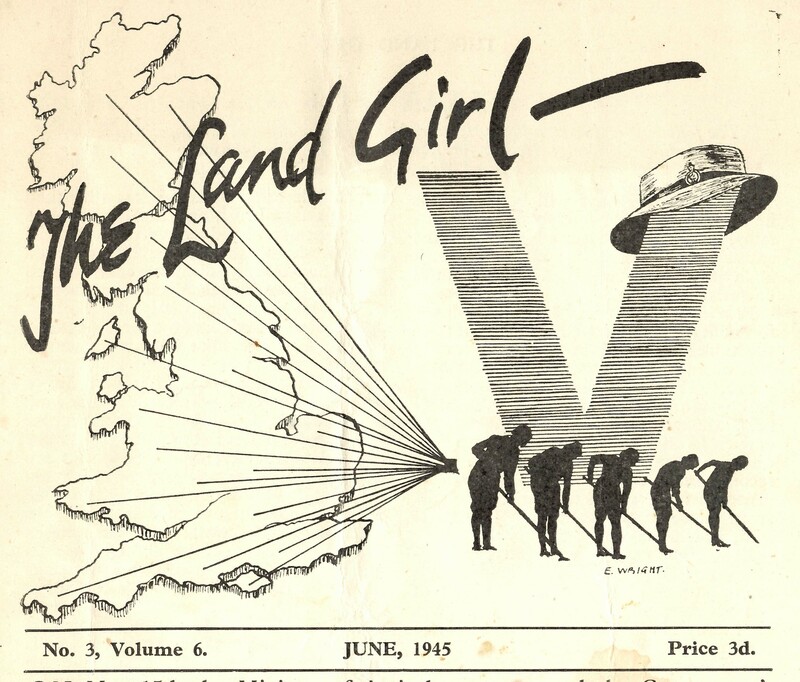 Here we have three very different types of illustration, featured on the front page of The Land Girl for its April issues. 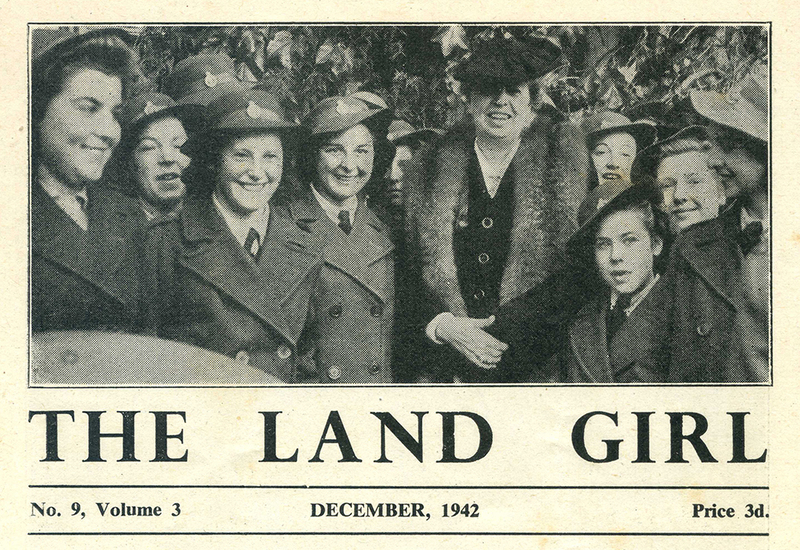 All of them show the figure of a Land Girl, though they take up different amounts of space on the page. R.Morris’s drawing for 1942 depicts the Land Girl looking out over the farming landscape. 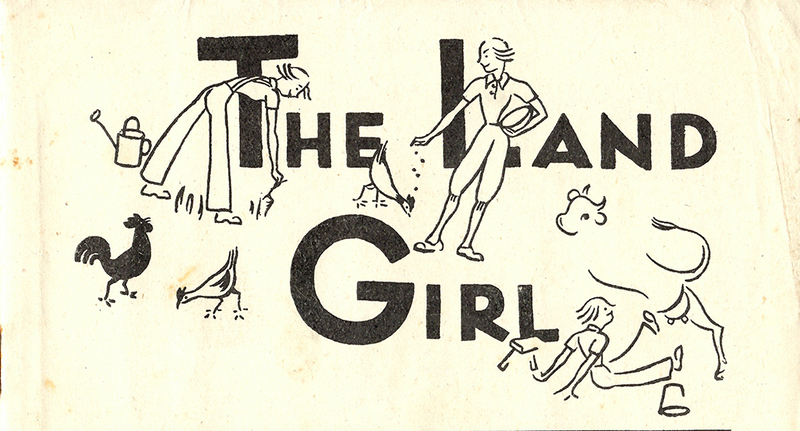 E.Zierer’s 1944 illustration is more playful, with three Land Girls doodled across the words The Land Girl. The women are in variations of the Land Girl uniform; two in the iconic breeches and the other in dungarees. The uniforms themselves are rather figure hugging, accentuating the women’s waists. 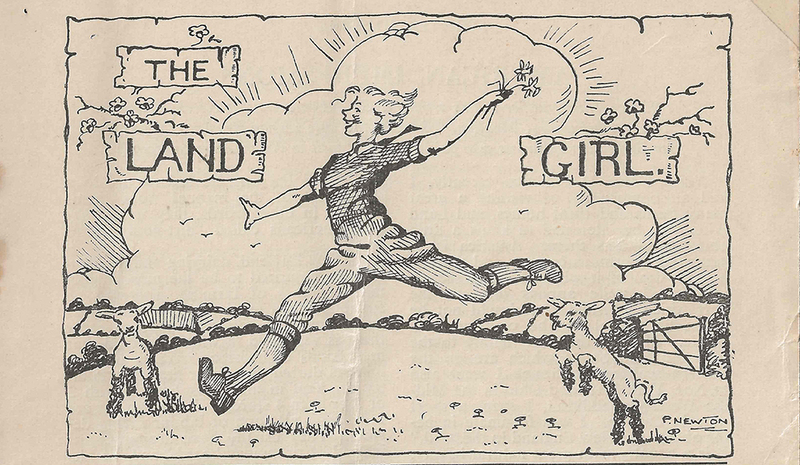 The final 1945 drawing by P. Newton is the most detailed of all three, depicting a happy Land Girl jumping for joy as she clutches some daffodils. The drawing presents a somewhat idyllic representation, with flowers growing from the title and lambs bounding about in the foreground. The three drawings signal the start of spring in the pages of the magazine, choosing to draw attention to the landscape and animals. 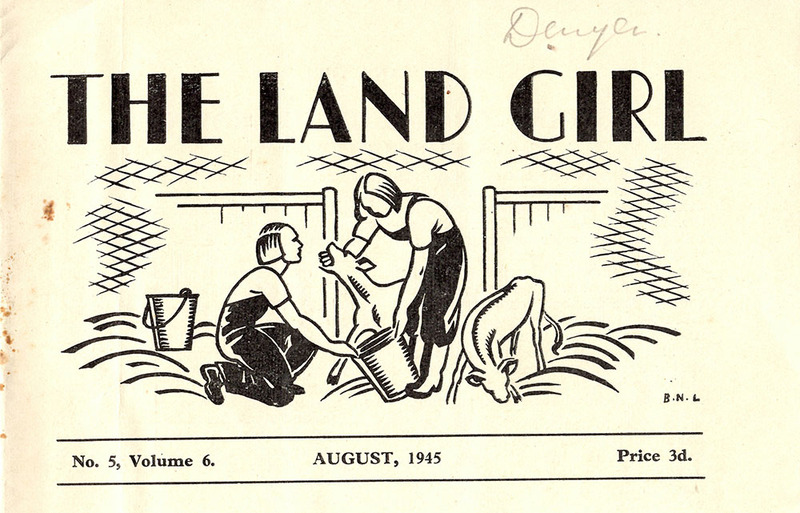 April 1942 edition, drawn by Worcestershire Land Girl R.Morris (WLA number, 44,240) who was previously a carpet designer. Next story Happy Easter 2018!